I had wanted to do this a while back but didn't do the research. Thanks to SoonerSport's digging (shown here: http://www.explorerforum.com/forums/showpost.php?p=3266353&postcount=122) I was able to order the correct part. I wanted to have its own thread in the mods section so it was easy to find... and to add my pics. For those that don't know... on the Sport, the only differences with the tow package and non tow package is this button, the hitch, and the wiring harness. Installation took about 2 minutes. Some models also added an oil cooler and a transmission cooler. Some people say the transmission model changed in 2012+ models. So $120 doesn't get you the whole deal except on a Sport model. Gotcha...that makes sense. I was just looking at the numbers... I wasn't aware of the oil and trans coolers. Dont forget the larger radiator on the Tow Package. 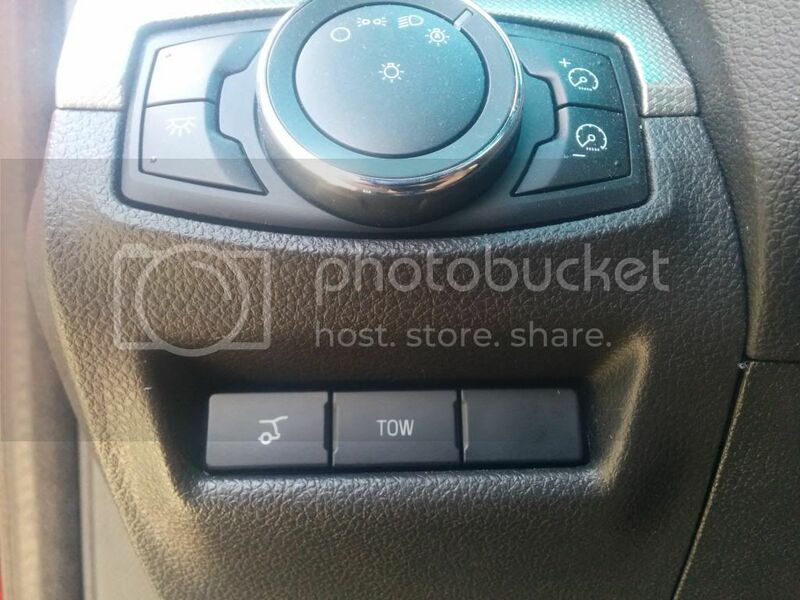 I was looking to add the tow mode button to my 2014, but it doesnt have the recessed area under the headlight switch, like the picture above. 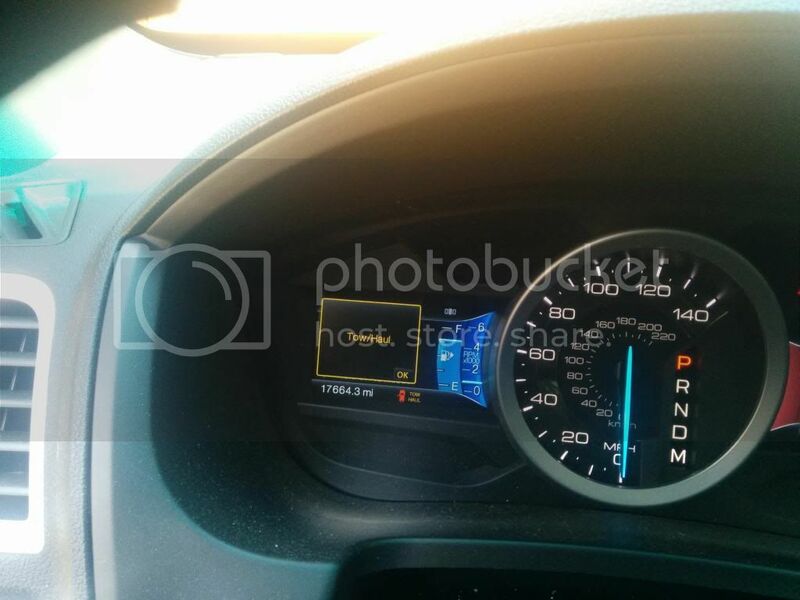 Did they move it for the 2014, or would I have to order that dash piece designed for the button? I believe the wire harness is just tucked away behind the headlight switch, I believe it was a 3 or 4 prong plug? Any ideas? What does the wiring harness look like? does it have a bracket that can be installed on the CURT hitch? or do I have to get this Pollak 7 and 4 Pole mounting bracket as well? I just ordered this button in preparation for a uhaul trailer move next week. What did the installation entail? I'm getting the one with the power lift gate, auto park, and tow/haul. Thanks for the pictures and links. That will definitely help me out. Much appreciated. Do you have all those features? Just hoping your not thinking adding the buttons will add everything. Could still use some help on this. Do I need to remove the trim to change those buttons or do the buttons just pull out? I'm getting this in the mail tomorrow. Does this look like the factory wire harness for the 4-pin and 7-pin connections? I was able to find the part number for the factory 7-pin trailer connector, but not the 4-pin. Does anyone have any part numbers for the 4-pin trailer connector? Also looking to find out what the installation entails. Is there anything behind the blank switch right now? My explorer has the Autopark and the Power Liftgate so I have the bank of switches. It just didn't come with the tow package and I'm trying to retrofit something as close to OEM as possible (Oil cooler, 4 + 7 pin harness and tow button). The OEM Tow Package has a larger radiator too. Go on Fordparts.com it will will show two radiators, one is for Tow Package. It will also require the undercarriage air duct that grabs air from the front and forces it onto the Power Transfer Unit for cooling. There's one connector plug for the 3 buttons. You pull the trim off to get access to the buttons then you can pop out the button assembly. I don't know the part number for yours though because I don't know if anyone has done this mod yet for one with autopark. Shouldn't be too tough to find though. Perfect! I was hoping that the hardware was already there behind the blank. did you have to do any programming? Wiring harness with the 4/7 pin connectors built into the harness. Levit Town Ford parts is the cheapest including shipping. Also just as an FYI for everyone looking for this. 15K868 is the generic part #. They have numerous versions of it based on what your car has (keyless entry, Blind Spot, Parking sensors...).